Welcome to our blog page here at Transforming Faces! Our non-profit, Canada-based organization works tirelessly to ensure that we are reaching as many children who have been born with a cleft lip and palate as possible. In an effort to be able to reach more children and help more families, our smile charity partners with organizations around the world so that we can help to change lives, one smile at a time. With the help of our generous donors, we’ve been able to provide comprehensive care to children and families in countries like Argentina, Costa Rica, Chile, Ethiopia, India, Myanmar, Peru, and Thailand. And because our hearts are to further the work that we’ve started, we won’t stop until we have a presence in every country that needs our help! Consider a monthly donation to become personally responsible for the comprehensive care of a child born with cleft lip and palate. We would love to have your support! Unlike so many other children’s charities out there that can only provide one-time gifts and support to important causes, Transforming Faces is passionate about providing comprehensive care for children that often spans years. Because treatment for cleft lip and cleft palate doesn’t usually involve a one-surgery solution, we are committed to providing treatment and care before each surgical procedure, as well as follow-up care and comprehensive services that can last for years. It’s because of the support of our amazing donors and the endless efforts made by our incredible partners in each country that we’re able to do what we do. Without them, our reach wouldn’t be as far, our efforts wouldn’t be as meaningful, and our care wouldn’t be as lasting. The work done by Transforming Faces really is a joint effort and we’re all about teamwork. Our hearts are to go to countries that have a dire need for comprehensive cleft lip and cleft palate care including pre-surgical appointments, corrective surgeries, surgical follow-up care that can include speech therapy, dental care, social work, and continued aid for years afterword. Since many of these countries are still considered “developing” we consider it our highest calling to do everything we can in providing solutions to cleft lip and palate. One of the biggest hurdles many of our families are still facing is the ability to get to our clinics to receive their care. It’s not unusual for them to have to travel hours to get to us. Here is a little information on what our smile charity is doing in different countries around the world. Argentina – With a population of over 40 million people, Argentina has proven to have plenty of children and families who need our services. Partnering with Fundación GAVINA, our services are based in the northern portion of the country. Though we’ve made some great strides there, we face plenty of obstacles in Argentina. For this reason, your support of our children’s charity is incredibly valuable and even vital to our continued work there. Costa Rica – In partnership with Asociación Pro Niño con Labio y/o Paladar hendido (Asociación LPH), our cleft charity is bringing cleft care to this country of almost five million. Our program focus is a collaboration with the National Children’s Hospital to ensure that newborns with cleft have access to care as soon as possible. We also are striving to improve speech in children and young adults with cleft palate and cleft lip. 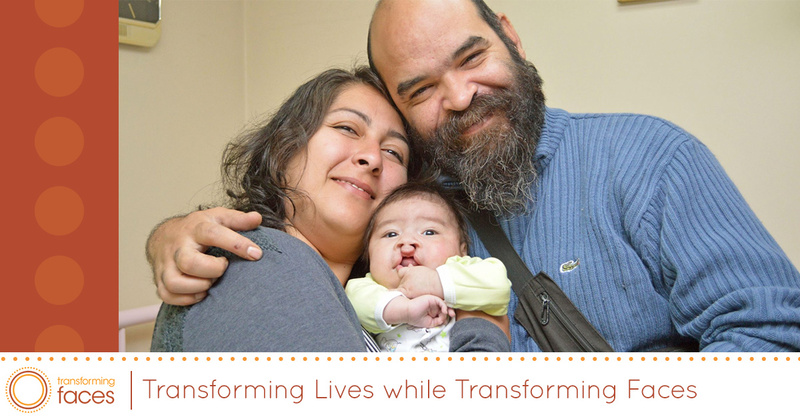 Transforming Faces is such a worthy cause and it’s because of your generous one-time gifts and monthly giving that we’re even able to do what we do. Tune into our next blog in which we discuss the rest of the countries we’re that we’re partnering in with amazing organizations and providing comprehensive cleft care for children and families who desperately need it. Donate to our cause today!